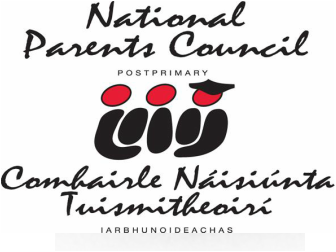 The Parents’ Council is made up of parents and the Principal or his or her representative. A parents’ representative of the Board of Management may also attend. They meet once a month. Their aim is to act as a link between the home and the school. 6. Organises fund raising events which support the book rental scheme, library books, equipment, etc. If you would like to get more involved in your daughter’s education, and if you would like to meet other parents, please come to the AGM in September. You could also think about joining the Parents’ Council.